Day 1: March 28 2019, WATT+VOLT Retail Store Visit. On March 28th 2019 all parties involved in the enCOMPASS project visited Thessaloniki and Athens in Greece. During the first day, the partners visited the WATT+VOLT Retail store in the Thessaloniki city center where they became familiar with the infrastructure and the way the project is being presented to the employees and customers of WATT+VOLT. The Partners had the chance to learn about the Retail Store daily workflow, while the WATT+VOLT personnel demonstrated the smartwatt home automation platform, the enCOMPASS application usage and the FUNERGY Game promotion strategy inside the Retail Store. The smartwatch services, combined with the enCOMPASS app is a strong package, which increases the engagement of the households taking part in the Greek pilot. 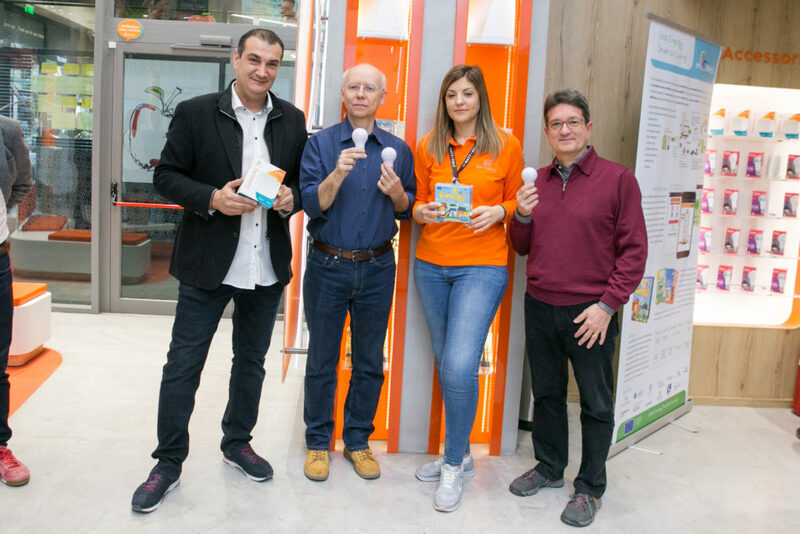 The Retail store itself serves as one of the public buildings to the Greek pilot, offering daily measurements of electricity consumption and humidity/temperature data. The enCOMPASS app is used daily between employees at the store in order to check the consumption and their comfort feeling. Energy saving profiles can be built based on real human interaction and data input. 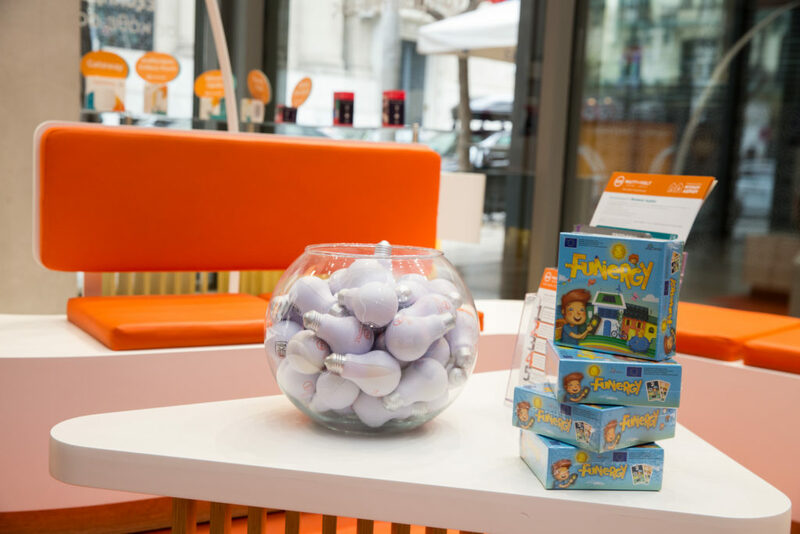 The Funergy game is promoted on the Retail Store to end customers with young children. Day 1: March 28 2019, Delta School Visit. Delta school 8-story building serves as the school building for the Greek Pilot. Smart meters are installed in the building, as well as several sensors maximizing the enCOMPASS approach. encompass tablets are installed in diverse classrooms around the school, where students interact with the enCOMPASS app daily and offer their much-needed feedback about energy spending and comfort feeling. They also participate in their own enCOMPASS game, where at the end of each month the team with the most points get awarded the trophy of the school, which they can proudly present in their classroom. The different classrooms are comprised of automation technicians, IT & electronics students, beauticians, health care students and travel & tourism students. Having such a diverse group of students can cover all aspects and characteristics of a user interacting with the enCOMPASS app. This can also help with engagement levels but also show different opinions about energy saving goals and behavior. The enCOMPASS project has delivered an original mix of engagement tools, able to turn consumption and comfort data into an enjoyable and instructive experience. In its final phase, the project Consortium is committed to disseminating the achieved results broadly throughout Europe and prepare for their commercial exploitation.